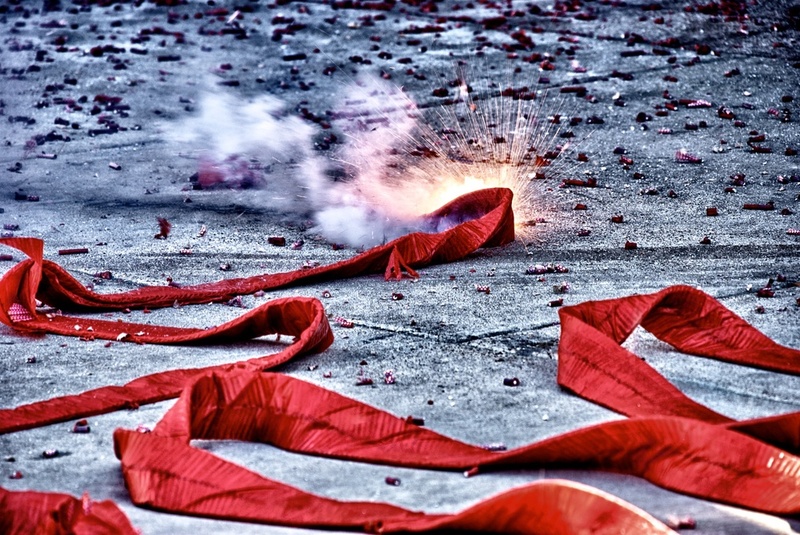 Last weekend, I went to a Chinese New Year celebration that was occurring here in Austin. It was a lot of fun. They had Chinese dragons, lion dancers, and of course a lot of firecrackers! I was able to squeeze in fairly close while the firecrackers were a-crackin', and got this shot. There must have been a couple thousand of these things exploding - I felt deaf for a little while afterwards, but was glad I got the shot!